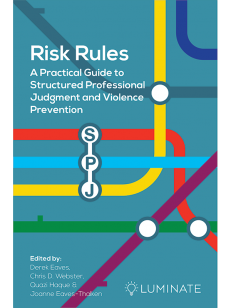 Develop your understanding of working with offenders with mental disorders, and reflect on your practise of working in secure forensic settings with this engaging, value for money and accessible Care Quality Guide. 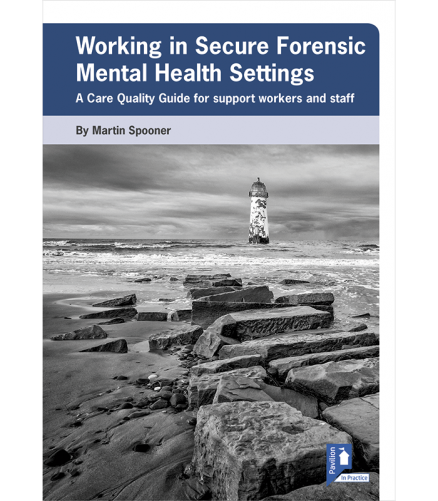 Health and social care support workers play an essential role in providing effective, therapeutic and high quality care for those detained in secure forensic facilities. 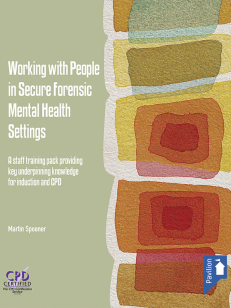 Whether you work in locked rehabilitation units, community forensic services or in low, medium or high secure facilities, you will need to gain the basic skills required to provide active support for the individuals detained in secure forensic settings. This Care Quality Guide offers an engaging, value for money and accessible way of self-learning for both new staff members to develop their understanding of working with offenders with mental disorders, and to provide those who are already working in secure forensic settings with the opportunity to reflect on their practice. Convenient and accessible, this guide contains practice questions, key learning points and thinking activities. Staff working in forensic mental health settings, including support workers, mental health nurses, counsellors and therapists. Martin Spooner is presently working as a practice development nurse for a private company that specialises in forensic mental health care. He is an experienced clinician and communicator, and has built his skills over his years in practice. As well as being a registered nurse, Martin is a qualified counsellor, teacher and facilitator, and he uses these skills to empower, enable and educate, whether that is in practice or in the classroom.